Barbara Cole’s latest series, Falling through Time, is a complex arrangement of past and present. The project began twenty years ago, when, while travelling, the artist became enamored with the whimsical spaces of England’s gardens. Decades later, the artist returned to her English garden series, using it as background to her captivating underwater portraits. 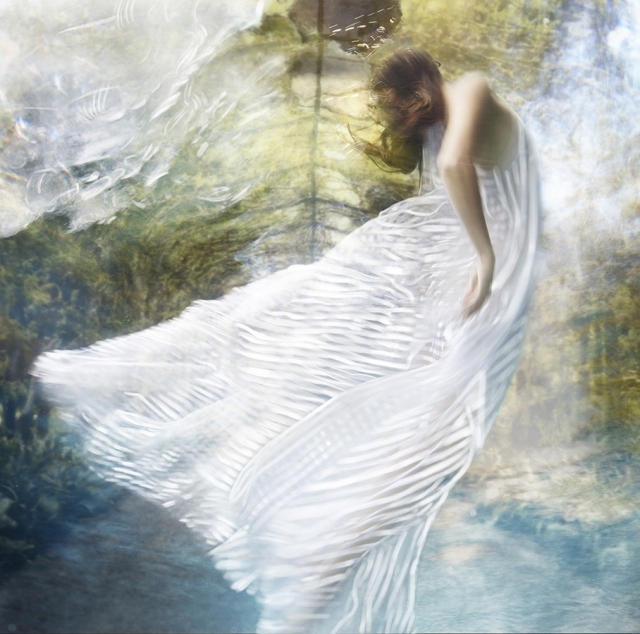 The result is a visual study of time in which personal and mythical histories—refracted through the water’s surface—layer to create dynamic, ethereal scenes with an editorial edge.